Hi Folks! Long time no speak.....this year literally has been a whirl of activity. 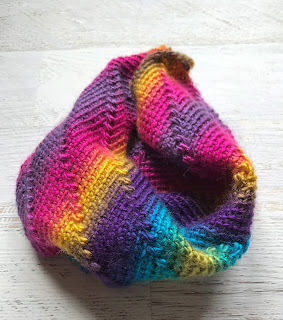 It seems like ages since since I last posted so thought it was about time I put down the hook long enough to write a quick update on this project. If you remember (I know! it's been a long time...!) 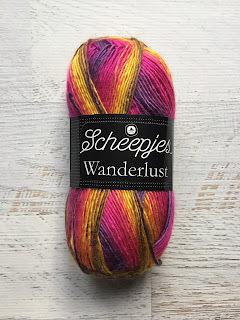 I had started a new project with some gorgeous Wanderlust yarn from Scheepjes. A lovely 100% acrylic colour changing yarn to make a yoga cushion. 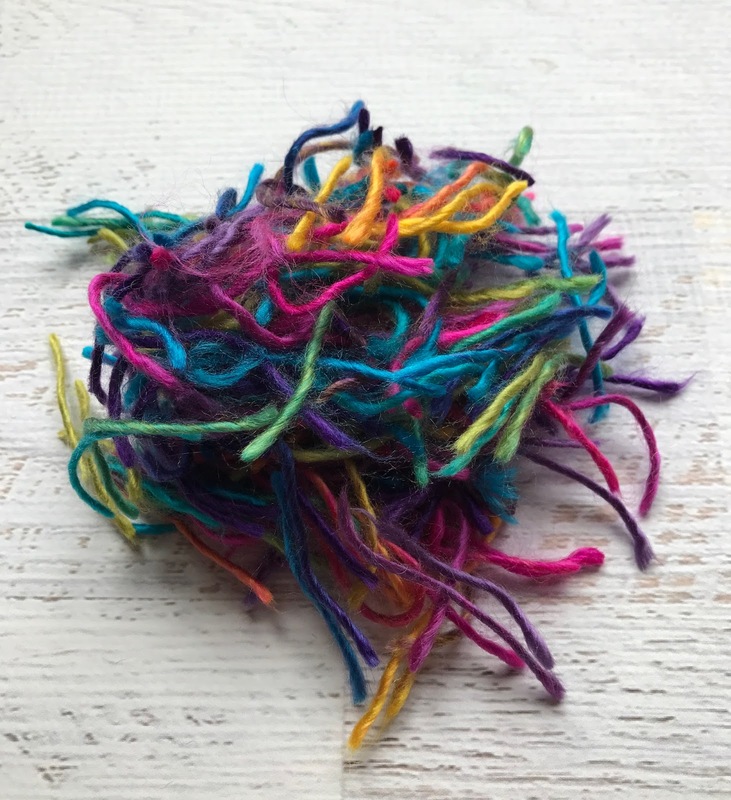 Bet you didn't expect all of those colours hidden inside that ball of yarn? I've made 2 rectangles to join together to cover the cushion. 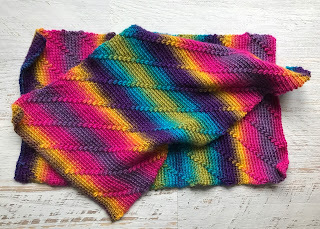 As it's going to be stretched over a cushion pad there was no need to block! Next project will definitely not require this level of tail weaving in! Join me next week and I'll reveal all!